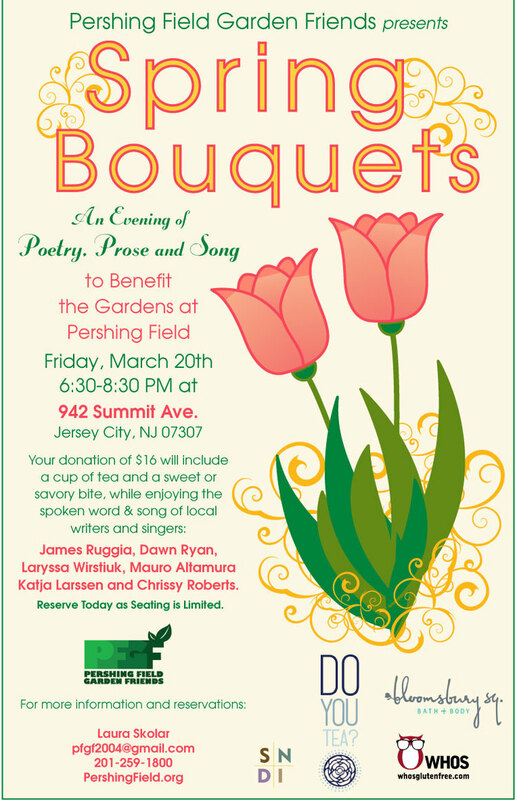 Pershing Field Garden Friends invite you to celebrate the first day of spring, Friday March 20th from 6:30 to 8:30, at 942 Summit Ave in the Jersey City Heights. This great little shop features fine teas from Do You Tea?, gluten free baked goods from WHOS Gluten Free Bakery and garden-fresh natural skincare products from Bloomsbury Sq. All attendees will be entered into the special door prize drawing. Come out and enjoy an evening with neighbors and friends while contributing to a worthwhile cause! Reserve Today As Seating is Limited.